Circus Luminous 2016, with Celestina Mancha and Andrea Rose Bear King. Photo credit: Gabriella Marks. Feminine experiences through the four seasons is the theme of Wise Fool New Mexico’s Circus Luminous 2017 show that has been conceptualized and directed by performing artist and choreographer Deirdre Morris. “She Shines Brightly” is presented at the Lensic Performing Arts Center during the Thanksgiving weekend. 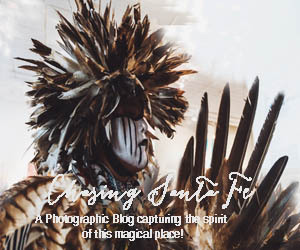 Wise Fool New Mexico, a local nonprofit that has been building grassroots circuses and giant puppet processions in the Santa Fe area for 19 years, has presented a new Circus Luminous show annually at the Lensic since 2003. True to Wise Fool’s tradition of showcasing a wide variety of circus arts in its Thanksgiving weekend production, the 20-member cast presents exciting aerial acts, stilt walking and plenty of puppets. “There are some new butterfly, wolf and bird puppets this year that Amy Christian (Wise Fool’s artistic director) and I designed together and Amy built with her team of assistants,” says Morris. 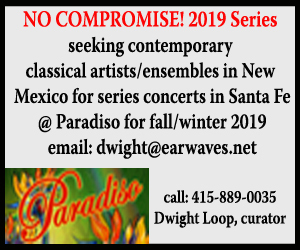 Jeremy Bleich, who has been working with Wise Fool New Mexico for many years, composed original music that’s performed by a small live band. Bring the kids to “She Shines Brightly.” It’s a family-friendly show. Circus Luminous 2017: "She Shines Brightly"
Nov. 24, 7 p.m.; Nov. 25, 2 and 7 p.m.; Nov. 26, 4 p.m.